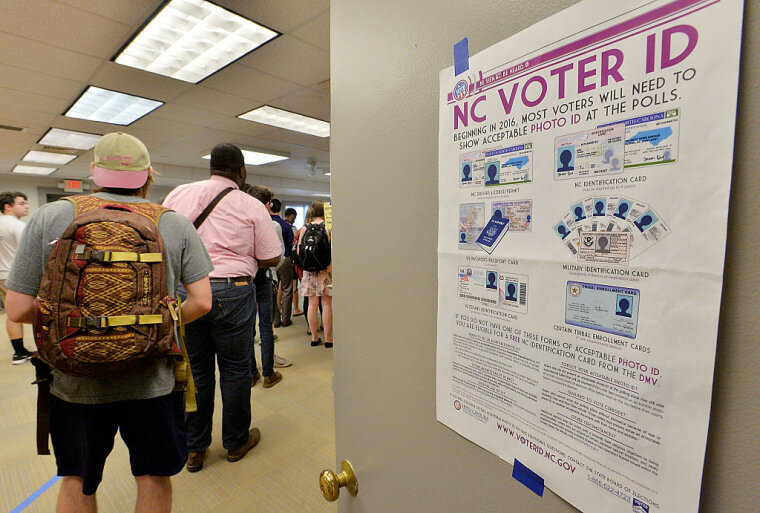 The Supreme Court will not hear an appeal to restore North Carolina's controversial voter laws, knows as the 2013 Voter Identification Verification Act (VIVA). Last July, the Fourth Circuit Court of Appeals prevented much of the legislation from being enforced during the 2016 election. That ruling will remain in place as a result of the Supreme Court's decision to not hear an appeal. Keeping with custom, the Supreme Court did not announce why the appeal would not be heard, and that the refusal did not reflect on its merits. After the Voting Rights Act was gutted in 2013, North Carolina passed a variety of new voting measures. These included more strict voter ID, a seven-day reduction of early voting, nullification of votes issued in the incorrect district, and the end of same day voter registration. The Fourth Circuit's ruling in July 2016 said that the state was intentionally targeting the structures that make it easier for minorities to vote "with almost surgical precision." The American Civil Liberties Union (ACLU) celebrated the Supreme Court's decision to not hear a defence of the law. "Today, the Supreme Court denied the North Carolina legislature its last option to keep VIVA alive and North Carolina voters suppressed. This major voting rights victory could not have come at a better time — states across the country are enacting laws that unduly restrict access to voting. These laws, in almost every instance, disproportionately impact communities of color, first-time, and low-income voters."